The November 2017 competition topic of the North Bethesda Camea Club was the color yellow. 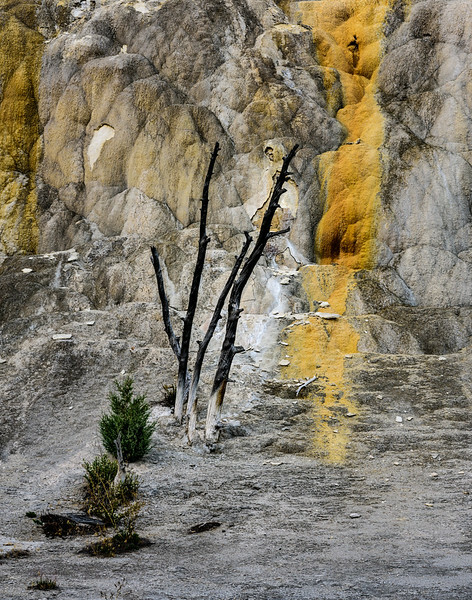 I shot quite a few images for the competion while I was in Hawaii, and had a good bunch from the understandably yellowish Yellowstone National Park. So I decided to make them into a collection. Sulfurous fountain destroying trees while others regrow just out of range. (For now.) Just missed the cut for Honorable Mention in the September competition for "Nature" images.